Comic adventure starring the hapless inventor and his canine companion. Wallace and Gromit's new bakery business faces danger when the 'Cereal Killer' targets the town's bakers. Wallace and Gromit have opened a new bakery - Top Bun - and business is booming, not least because a deadly Cereal Killer has murdered all the other bakers in town. 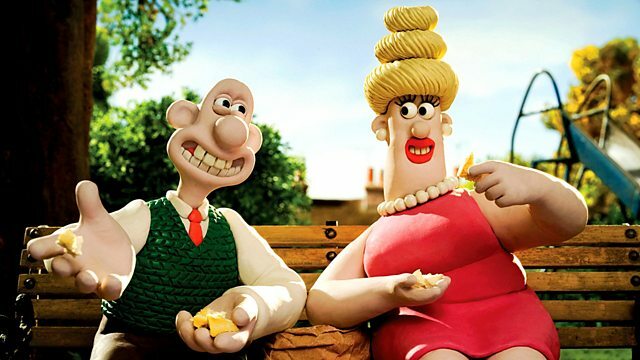 Gromit is worried that they may be the next victims, but Wallace does not care, as he has fallen head over heels in love with Piella Bakewell, former star of the Bake-O-Lite bread commercials. So Gromit is left to run things on his own, when he would much rather be getting better acquainted with Piella's lovely pet poodle Fluffles. But then Gromit makes a shocking discovery which points to the killer's true identity. Can he save his master from becoming the next baker to be butchered? And does Fluffles know more than she is saying? It all adds up to a classic 'who-doughnut' mystery, as four-time Academy Award-winning director Nick Park creates a hilarious new masterpiece in the tradition of 'master of suspense' Alfred Hitchcock. Featuring the voices of Peter Sallis (Wallace) and Sally Lindsay (Piella Bakewell). The biggest characters in the best stories. Amazing movies and fantastic short films all for you in one place! Charming, funny and cheeky, curl up and enjoy these classic animated tales. Snuggle up on the sofa and enjoy these festive family shows together. A selection of films and animations currently available to watch on BBC iPlayer.